But I’m not even talking about Russian investigations, biased media sources, the influence of advertising dollars on stories, or anything like that. 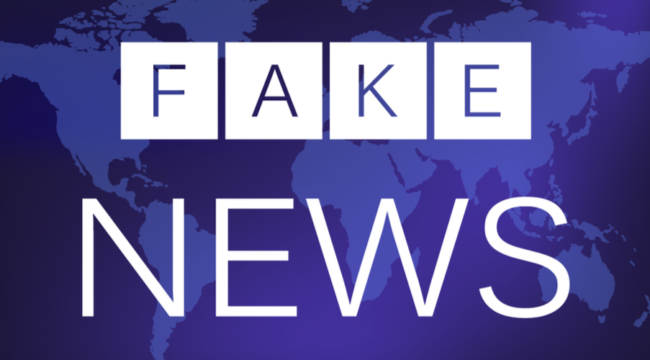 Really, Washington itself is the source of A LOT of fake news… including some of the statistics that it reports to savers, investors, and regular American citizens. Take our government’s official inflation measure, the consumer price index (CPI). This yardstick affects everything from tax rates to Social Security cost-of-living increases. Fails to account for price changes to some of the items Americans rely on the most. Doesn’t factor in the effect of federal, state, or local taxes. And relies on all kinds of faulty logic like the idea that technological improvements automatically offset rising prices for certain things we purchase. Worse yet, Washington has concocted another version of this already-flawed measure called “chained CPI” that actually AMPLIFIES some of these inaccuracies. How does it do that? Chained CPI relies more heavily on the idea of item substitution. As a simple example: The thinking is that, if beef prices go up sharply, you might start eating more chicken. Thus, the rise in beef pricing isn’t really that important so it is counted less. Given this viewpoint, chained CPI will tend to measure less inflation overall. The government likes this because it can save an awful lot of money by under-reporting inflation – many billions a year, in fact. This is why many lawmakers have been trying to get “chained CPI” to replace the standard CPI measure in a number of places. And with the new tax package that just went into place, they finally got their wish. Starting this year, the IRS will begin using chained CPI to calculate changes in all sorts of limits, deductions, exemptions, phaseouts, and other annual adjustments. We’re not talking about big damage. You might see a $20 reduction in one place and a $30 drop in another. But that’s the thing: What makes a switch to chained CPI so insidious is that it has a greater and greater effect over time because of the nature of compounding! At some point, I think we will see chained CPI become the norm in other areas, too. President Obama proposed it for Social Security COLAs, but it didn’t get implemented. I’m sure it will happen at some point. This is partially because of another point I’ve made in recent articles … the fact that our nation’s Social Security program also suffers from “fake news” syndrome. Although the system is falling deeper and deeper into financial disrepair, many lawmakers continue acting like everything is totally fine. In doing so, they’re misleading millions of Americans who are counting on those payments in retirement. I could keep going, but the basic idea is that you simply can’t trust the information coming out of Washington nor should you expect all of politicians’ promises to be kept. It doesn’t matter if you’re talking about the sanctity of Roth IRA tax immunity or so-called guaranteed retirement benefits from a state pension. So what CAN you count on these days? In other words, if an investing strategy doesn’t stand a very good chance of paying you back consistently – and in short order! – avoid it. Rather than pin my hopes and dreams on a tech company promising me some breakthrough ten years from now, I’d much rather a boring toothpaste maker that pays steady dividends. Because corporate executives lie just as much as politicians. Dividend payments, however, are an exception. You can’t fake a dividend – the check either clears or it doesn’t. So when a company has been paying bigger and bigger dividends for many years, that’s a pretty good indicator that it’s not cooking the books. The same is true of real estate and many natural resource investments – they represent stakes in tangible assets, and many times they also spin off steady payments for their owners. Plus, a happy coincidence of focusing on income-producing strategies is that by creating new streams of cash you are actually hedging against stuff like inflation and an ailing Social Security program!